Dr. Sean Salehi, MD, FAANS is a board certified neurosurgeon who completed his residency at Northwestern University in 2002. 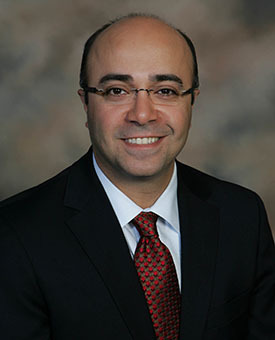 Dr. Salehi remained a faculty member at Northwestern for three years and was an early adopter of minimally invasive spine surgery techniques. In addition to clinical pursuits, Dr. Salehi has authored several articles in medical journals and chapters in neurological books as well as designed three neurosurgical instruments. To take advantage of his understanding of the neurological system and to experience rapid relief, request an appointment.